Today's Diva's Challenge is all about simplicity. 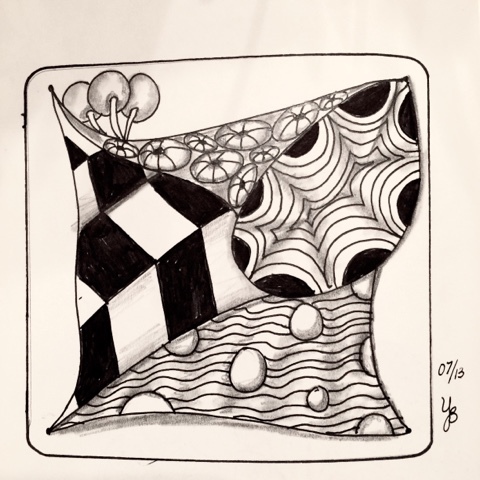 The guest blogger, Katie Crommett asked us to choose two or three patterns in the traditional zentangle squares. The tile above has more than three, but it is done in the traditional tile size square. 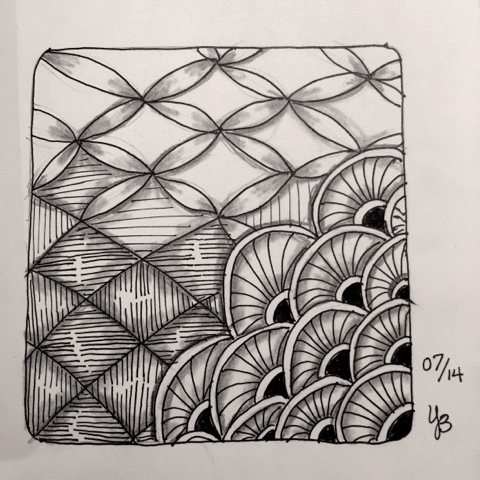 One of the things I love about zentangle patterns is how certain patterns can be transformed into another fairly easily because they begin the same way. I had made this chart a few months ago that shows this. So here is another Diva tile I did for this week. 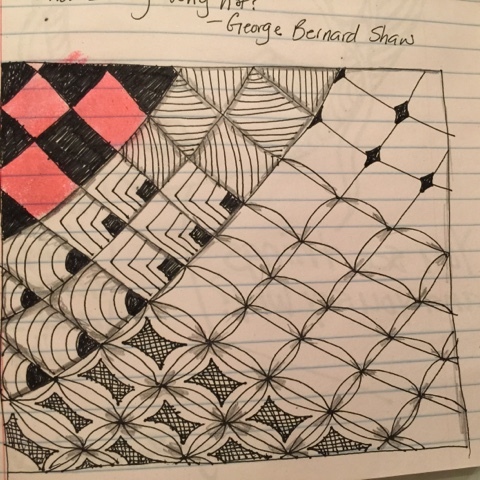 I have done a bigger one before..
Do you have a favorite transforming pattern pair? My favorite transforming pair? Optimus Prime and Bumblebee! I crack myself up! Actually, this looks like something I can try if I can only work up the patience and attention span. Wonderful tiles! 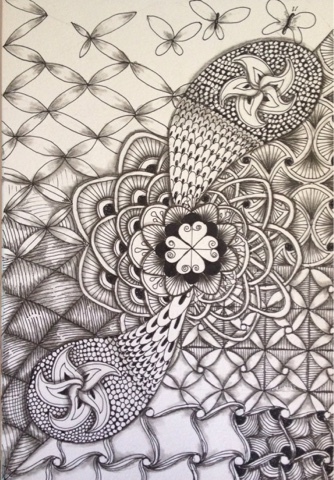 I love how you've found tangles that flow right into each other.